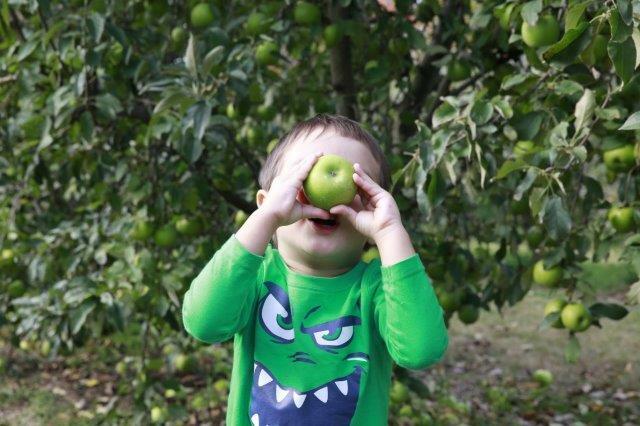 Making the most of this warm winter, we spent a day out at Bilpin, picking apples at Shields Orchards. 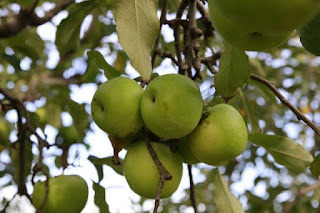 It was here, I discovered the taste of tree ripened apples and I can't believe how sweet a Granny Smith apple can be. The kids and I may have gone slightly overboard with our picking as we managed to pick my youngest child's weight in apples (15kg). Not a bad effort in 30 minutes, But now, I wondered what to make with all these apples. 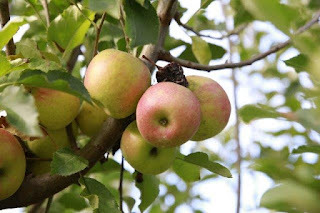 May be even try an apple pie, apple tarte tatin and perhaps apple jam. 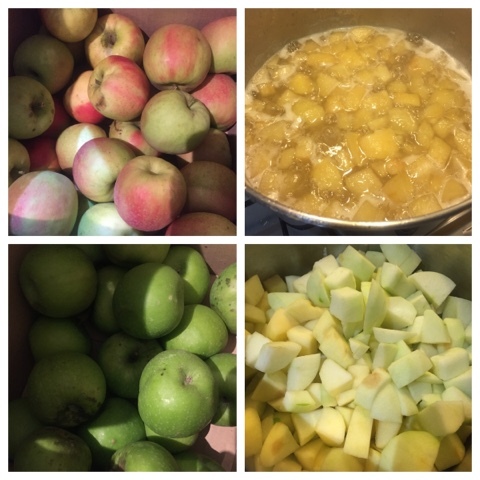 Strange as it may sound, I was going to attempt apple jam. 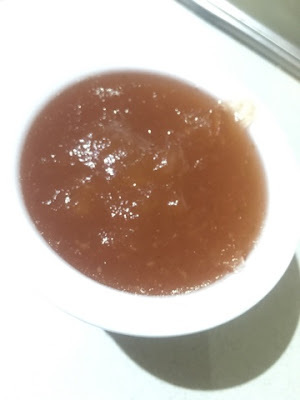 Knowing that apples contained high levels of pectin, the jam wouldn't have any problems setting. 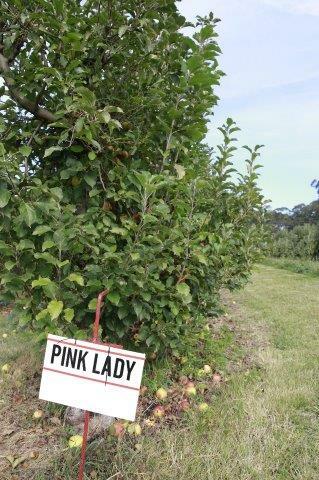 The first batch was a mixture of Pink Ladies and Granny Smith apples which worked out a treat. So I made a second batch with just Granny Smiths. This is a great jam to make as the cooking process time was a lot less than making mandarin marmalade. I was pleasantly surprised how good both jams were. The Pink Ladies tended to keep its shape better than the Granny Smith apples but I found apples didn't take long to make into jam. 3kg of apples once cored and peeled reduces to 2.3-2.5kg. 1. Peel and core all the apples and slice into 2cm pieces. 2. 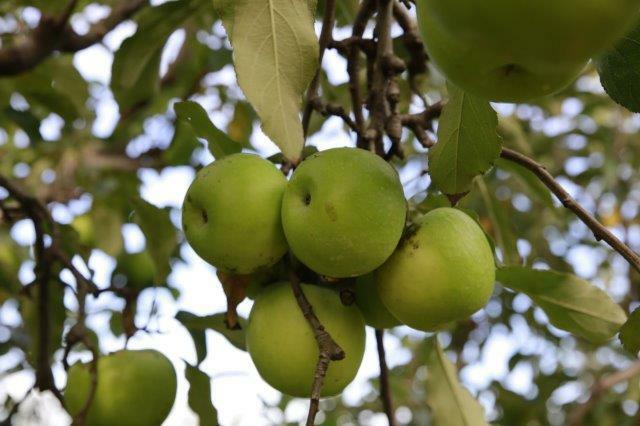 Place the juice of half a lemon and water into a deep bowl to place the chopped apples to prevent from browning. 3. Drain the lemon water bowl and place chopped into a large heavy based saucepan with 1 Litre of water over a low heat for 30 minutes until the fruit softens. 4. Once the fruit has softened, add sugar and stir using a wooden spoon until dissolved. 5. Add half the zest, all the lime juice and grated ginger. 6. Bring to boil for 40 minutes or til setting point is reached, stirring continuously so it doesn't catch on the bottom and burn (you want to avoid this as cleaning this burnt sugary goodness is not fun). The jam will turn slightly more orange pink in colour. How to test your setting point? Put a plate in the freezer and chill it. Take it out when ready to test, add a dollop of jam onto plate. Let it stand for a 30 seconds. Then draw a line through the jam with your finger, if the line disappears, its means the jam is still runny, so keep boiling the mixture for another 5-10 minutes and test again. When the you draw a line through the jam and the line remains, your jam is ready for bottling. 7. Meanwhile, sterilise jars by giving these a warm soapy wash then placing into the oven at 110C for 15 minutes until completely dry. To sterilise the lids, place into boiling water in a saucepan for 5minutes and leave these to air dry on the dish rack. 8. Once setting point of the jam is reached, add the rest of the lime zest.Feel free to add a cinnamon stick into the jar, a few cloves or star anise to vary the flavours. 9. Carefully ladle the jam mixture into the sterilised jars filling to the top. 10. Wipe the rims of the jars with a clear damp cloth before putting the lids on. 11. Store in a cool, dark place for up to 2 years. Once opened, refrigerate and use within a few months. You can mix up the jam by adding Cointreau, whisky, brandy for an adults only version of this jam. For this jam, I added a mix of 1 cinnamon stick, 3 cloves and star anise. I'm looking forward to trying these variations in a few months time and seeing how the flavours have developed. 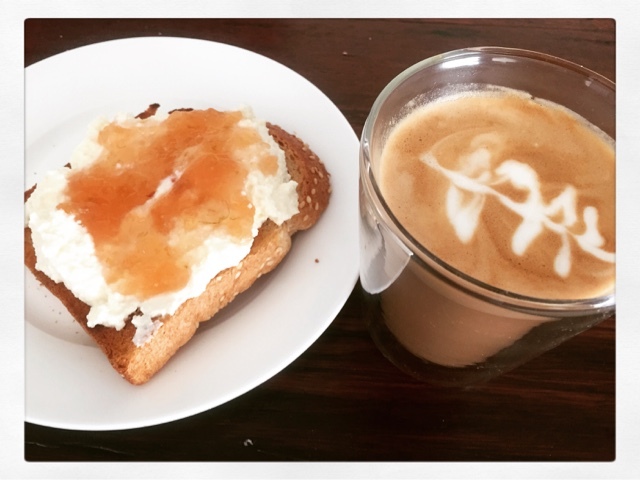 A great breakfast option is toast with ricotta and apple jam. Yum yum.